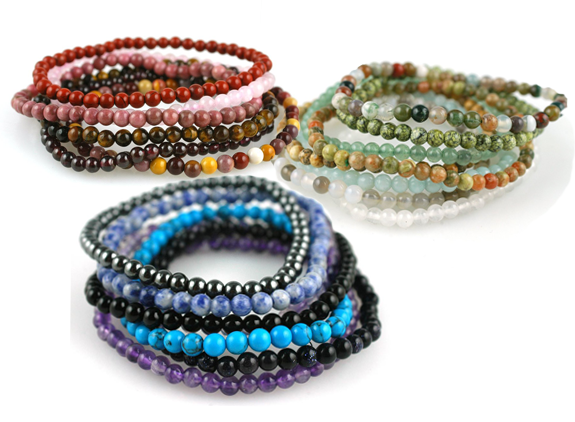 Stretch bracelets of semi-precious gemstone beads in a wide variety of stones Wear them in bunches or choose a particular stone for its ‘power’ qualities. Please note our in-store selection may vary. Are you looking for a particular gemstone? Ask us and we’ll help.